Venezuelan strongman Hugo Chavez is fast converting his oil-rich country into an old-fashioned banana republic. And he's doing it the same time-tested way that for centuries has kept so much of Latin America poor: stealing private property in cahoots with his closest family members. Our sources in Venezuela say that last week, the military seized control of the largest working hacienda in the country. Soon after, Chavez gave a nationally-televised speech from the stolen farm, and announced the beginning of government confiscation of private property. Here's where the nepotism comes in. The next day, Chavez's father, Governor Hugo de Los Reyes Chavez, expropriated corn silos belonging to Venezuela's most successful industrial group which provides much of the food for the country. Then Venezuela's ambassador to Cuba, Adan Chavez (Hugo's brother) told the Cuban press that the confiscations were only the beginning. David Hossein Safavian, the senior White House official arrested September 19 in connection with a lobbying scandal, was director of a Muslim activist group and once lobbied for an Islamist operative now serving a 23-year sentence in federal prison for terrorist-related crimes. As Paul Sperry documents in his book Infiltration, Safavian lobbied for Abdurahman Alamoudi, founder of several Washington, DC-based Muslim groups and an outspoken supporter of State Department-designated terrorist organizations. In a plea arrangement, Alamoudi admitted guilt to crimes related to laundering Libyan money, and agreed to cooperate fully with federal investigators on other cases. Until Friday, Safavian was the federal government's chief procurement officer. The FBI alleges he conducted criminal activity in relation to a cover-up of alleged crimes involving former lobbyist Jack Abramoff. Safavian is a close associate of Republican operative Grover Norquist, with whom he served as director of the Islamic Institute. The revelation that some of the Left's greatest Latin American heroes were KGB men is going to force a re-writing of modern history in the hemisphere, and vindicates the United States and its allies for some of their most controversial Cold War policies in the region. Former KGB archivist Vasilii Mitrokhin, co-author with Christopher Andrew of several important works based on KGB records, makes what many call stunning revelations in his brand-new book, The World Was Going Our Way: The KGB and the Battle for the Third World. For this blogger the real surprise is that the top-secret information left the KGB in the first place. Chilean President SALVADOR ALLENDE, a Marxist elected by plurality in 1970 and one of the Left's great martyrs, was "by far the most important of the KGB's confidential contacts in South America," according to Mitrokhin. Allende was a "confidential contact" - not a controlled agent but a volunteer collaborator - with the KGB since 1961. Allende's KGB file referred to him as a consistent supporter of Brezhnev's Soviet Union. General Augusto Pinochet led a coup against him, Allende committed suicide, problem solved. Soviet documents show $420,000 in actual and proposed KGB payments to Allende prior to and during his presidency. CARLOS FONSECA, founder of the Sandinista National Liberation Front (FSLN) of Nicaragua, a fully recruited "trusted KGB agent." Cryptonym: GIDROLOG. A much lesser-known Sandinista, MANUEL ANDARA Y UBEDA, a KGB agent who in the late 1960s reconnoitered the US-Mexican border for Soviet sabotage teams. Former Costa Rican President JOSE "PEPE" FIGUERES, an obstructionist against efforts to combat communism in the Western hemisphere, who took at least $310,000 from the KGB. The KGB reported to Soviet Communist Party leader Leonid Brezhnev in 1974 that Figueres "agreed to publish materials advantageous to the KGB" in his newspaper, and received $10,000 for the service. The book reports that Cuban dictator Fidel Castro told a Soviet general in 1981 that Moscow should re-deploy nuclear missiles on the island to counter President Ronald Reagan's pledged deployment of intermediate-range ballistic missiles in Europe to counter Soviet SS-20s. Mitrokhin's newest book belongs in every Latin American studies curriculum in every university. It proves what the more clear-eyed Latin Americanists always suspected. Like so many other revelations from the Soviet crypts, it further validates President Reagan's global strategy and discredits the junk peddled in most university Latin American studies departments. A conspiracy theory surfaced by Nation of Islam leader Louis Farrakhan - that the New Orleans levees were destroyed on purpose during Hurricane Katrina to destroy black neighborhoods - is gaining credibility among ordinary citizens. It's a case study of how a demagogue can take advantage of people's hardships and predispositions by raising questions that his audience will accept as fact. In an audio recording broadcast last week on the Fox News Sean Hannity Show, Farrakhan said, "I heard from a very reliable source who saw a 25 foot deep crater under the levee breach. It may have been blown up to destroy the black part of town and keep the white part dry." He gave no indication of the source. A Washington Post columnist says he's "stunned" that the conspiracy theory is gaining legs of its own as "reasonable" people in New Orleans believe it and are spreading it. I was stunned in New Orleans at how many black New Orleanians would tell me with real conviction that somehow the levee breaks had been engineered in order to save the French Quarter and the Garden District at the expense of the Lower Ninth Ward, which is almost all black. The conspiracy theorists "are not wild-eyed people" but are "reasonable, sober people who really believe that," Robinson said, adding that he does not subscribe to the theory. The National Park Service has chosen a "Crescent of Embrace" to encircle the Pennsylvania crash site where 40 al Qaeda victims died on 9/11 after passengers wrested control of the hijacked jet from terrorists. The passengers' quick action after declaring, "Let's roll," saved the US Capitol or White House, the Islamists' presumed targets. At a time when the Christian cross is practically verboten on federal lands except for individual gravestones, and when judges force the removal of the Ten Commandments from courthouses, it's ironic that the National Park Service would choose the symbol of the terrorists' professed religion to "embrace" the mass murder site. The memorial architect told a reporter that the crescent is "not about any religion, per se." With occasional exceptions, self-appointed Muslim leaders in the US have been ambivalent, at best, about fighting terrorism. Leaders of the Council on American-Islamic Relations (CAIR) openly supported State Department-designated terrorist organizations, at least three of its members have been sentenced to federal prison on terrorism-related charges, and one of its top officials refuses to denounce al Qaeda by name, even as the organization whines about how its followers are being picked on. Columnist Michelle Malkin brings the horror of the National Park Service decision to light with an animated illustration on her blog, michellemalkin.com. Thanks, too, to journalist and author Ken Timmerman, for providing the email, postal, phone and fax coordinates to the proper people at the National Park Service. Outraged citizens have been flooding the NPS Flight 93 Memorial website with comments and at times reportedly slow down the server: http://www.nps.gov/flni/pphtml/contact.html. Ken Timmerman, by the way, is author of the chilling new book, Countdown to Crisis: The Coming Nuclear Showdown with Iran. Pattern of terrorist bombing dates? Is there any significance or pattern to the dates of some of the most notorious terrorist bombings over the past four years? Nobody has publicly established one yet. So in the interests of furthering discussion on the issue, let me point out four coincidences on the calendar of the Roman Catholic Church. Every day of the year, the Church commemorates the life and death of a saint or other holy person, or marks a significant event in the history of Christendom. The Islamists have waged at least three major bombings on Catholic feast days commemorating a conflict with Muslims; in the other instance, a London bombing, the feast day was for Elizabethan-era Catholics executed in England. September 11, 2001: "9/11." Feast day of Blessed Louis of Thuringia, a 13th century German prince who died on the Sixth Crusade to free the Holy Land from the Muslims in 1227. March 11, 2004: Madrid subway bombings. Feast day marking the beheading of St. Eulogius at the hands of Muslim invaders. St. Eulogius was bishop of Cordoba, Spain, who under Muslim rule had been encouraging Christians to stay true to their faith, even under torture and death, and for chronicling the martyrdom of those who suffered and died. The Muslims killed him on March 11, 859 AD for his having aided the escape of a former Muslim woman who had converted to Christianity. July 7, 2005: London transit bombings. July 7 commemorates three English martyrs, Blessed Roger Dickenson, Blessed Ralph Milner and Blessed Lawrence Humphrey, executed under Queen Elizabeth I for illegal Catholic activity and for refusing to renounce their faith. They were executed on July 7, 1591. This coincidence is noteworthy, because very few Englishmen are commemorated on the Catholic calendar. July 21, 2005: Second London transit bombings. Feast day of St. Lawrence of Brindisi, who led a German army and defeated Muslim Turkish invaders in Hungary at the Battle of Szekesfehevar in 1601. This could be a pattern. Or it could be nothing more than a coincidence. Any meaning remains to be seen. The next Muslim-related feast day on the Catholic Church calendar is September 24, honoring St. Pacificus, who prophesied the 1688 victory of Christian armies over the Turks in Belgrade. 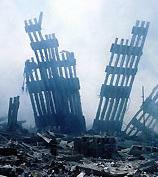 Afterthought: Operation Enduring Freedom, the US response to the 9/11 attacks, began on October 7, 2001. That day is the anniversary of the Battle of Lepanto (1571), a huge naval engagement in the Mediterranean between the Christians, led by John of Austria, and the Muslim Ottomans led by Ali Pasha. In their first major defeat of the Ottomans, the Christians destroyed the Muslim fleet and prepared the way for more than a century of military successes in central Europe. Even the Village Voice is up in arms about FEMA forcing volunteer firefighters to take sexual harassment and "sensitivity training" courses before being deployed to aid Hurricane Katrina victims. "On Tuesday [September 6], the Salt Lake Tribune reported that 1,000 firefighters from around the country who had urgently reported to FEMA to be dispatched to the Gulf disaster area had instead been sent by FEMA for a day of sexual harassment and sensitivity training to Atlanta, as fires raged in New Orleans chemical plants and warehouses," the Village Voice reports. "As the firefighters grew increasingly frustrated at the Atlanta Sheraton training, they were notified that they would not be doing any firefighting or search-and-rescue operations once they got to the region anyhow. Rather, FEMA officials informed them, they would be sent to hand out fliers with FEMA’s phone number. What’s more, the Tribune revealed, the first assignment for 50 of the firefighters? 'As specific orders began arriving to the firefighters in Atlanta, a team of 50 Monday morning quickly was ushered onto a flight headed for Louisiana. The crew's first assignment: to stand beside President Bush as he tours devastated areas.'" The Federal Emergency Management Agency (FEMA) delayed hundreds of firefighters from around the country who responded to the call to help Hurricane Katrina victims. Buried in an article on the disarray of the rescue and recovery effort, the New York Times reports the reason: FEMA officials required the volunteers to gather in Atlanta and take days of sensitivity training courses on community relations and sexual harassment before allowing them to save people's lives. FEMA turned back trucks delivering badly-needed water and other emergency supplies, and forced first responders to fill out paperwork and wait their turn before entering the disaster area. "Folks were held up two, three days while they were working on the paperwork," said an Alabama sheriff. Other volunteers ignored FEMA and politicians and delivered the supplies anyway, some in convoys traveling from as far away as Michigan. Corresponding by Blackberry from just outside New Orleans, my friend reports this morning that US mililtary forces at the disaster zone are not only efficient at what they do, but are raising people's spirits with their idealism, initiative and cheer. FEMA, he says, is still "worse than useless" as far as he can see. This shows again how politicians and bureaucrats remain part of the problem in dealing with disasters, including terrorism. Army Special Forces and a Marine came close to punching out some FEMA operatives. I would like to say that south Louisiana is recovering from Katrina. It will be a long hard process, but life is beginning to enter the 1930s at least. We have power and air conditioning where I live, but no land phone and no internet. The US military is magnificent. Yesterday, I was in New Orleans and the Army presence there is heavy, especially the 82nd Airborne. Not only are the troops providing security (ever heard of the old saying “cop on every corner?” Try 4 soldiers on every corner and I mean EVERY corner), but they are helping with everything at every level. These young people clearly want to help. They are cheerful, motivated and good-hearted folks. They make us laugh when we need to laugh and they cry with us when we cry. These gentle, humanitarian warriors are truly God's gift to America. Today I was in Slidell, LA, a small bedroom community about 20 miles east of me. Slidell had the eye pass directly overhead. It is truly devastated. Well, 400 US Marines have brought hope, hard work and joy to Slidell. The residents cannot get over how great the Marines are. The mayor said that they seem to work 24 hours a day and knew what to do and what was needed as soon as they rolled into town. They didn't wait to be asked, they just started putting the town back together, clearing the roads, feeding the people and providing shelter for the homeless. This is in stark contrast to FEMA, which is worse than useless. Both a Marine LTCOL and a SF E7 I talked to have nearly come to blows with FEMA personnel, who drive around in Ford Expeditions wearing baseball caps and polo shirts and talking on cell phones. Their main mission seems to be to try to rein in the magnificent men and women of the US Military and assert their authority. Fortunately, the guys in green outnumber them hundreds to one and pretty much ignore them. I would expect some victims to have harsh words about FEMA (my own experience with them has been poor) but when troops on the ground badmouth them, you know something is rotten. Almost as impressive as the people the military has sent here are the assets. In New Orleans yesterday you literally could not hold a conversation due to the noise from the helicopters flying overhead. There are every type from every branch. Yesterday I saw UH60s, SH60s, CH53s, CH47s, UH1s, CH46s, and OH58s. Some were carrying sling loads of cargo. Some were performing search and rescue, some were carrying sandbags to plug the hole in the levees. Others were ferrying personnel and clearly visible water bottles back and forth. Without the US military helicopters, people would still be perishing every day. This isn't a paid announcement, just an observation: the Blackberry PDA proved to be a reliable, survivable means of communication during and after a massive national disaster. As a Blackberry user, I recommend it more than ever. Even when all radio, TV, Internet, telephone and cellular phone service went dead during Hurricane Katrina, the Blackberry's email function kept right on working. I'm not a techie, but I do know the following. My friend in the New Orleans area kept in touch with the world, and helped his neighbors do the same, through his Blackberry. He used it first to find out which roads were passable so people could evacuate. Later the Blackberry enabled him to get reliable news, to spread news in the stricken area, to get rumors confirmed or debunked, and to help locate and unite relatives feared lost by the disaster. Through his Blackberry messages, friends outside the disaster area were able to post notices on the "missing" and "survivor" Websites about who was accounted for, who was not, and how people could find one another. They sent the many responses back to him and his neighbors. With such news, people were able to drive to shelters and pick up their loved ones. One of those located and reunited was a disabled man who was feared dead but had been evacuated to Baton Rouge. My friend, now this blog's unofficial Katrina correspondent, also sent messages about locations where people still needed to be rescued. Friends outside forwarded his messages to the Coast Guard and Red Cross. As of today his voice and Internet communications remain dead, but we keep trading Blackberry messages as easily as ever. Now I see why every US senator is issued a Blackberry. The head of FEMA should get one, too. George Galloway, a British Member of Parliament who reportedly was on the payroll of Saddam Hussein as an agent of influence, is expected to tour the United States in a propaganda campaign to undermine the war effort. The State Department should deny him an entry visa as an enemy agent. Galloway is considered the most radical MP in the United Kingdom. Married to the niece of Yasser Arafat, he has walked - some say crossed - the edge of collaborating with terrorists. He denies he was an agent of the Saddam Hussein regime. Actress Jane Fonda was to have joined Galloway on an eight-city tour to slam the United States government and blame it for the Hurricane Katrina tragedy. Recent reports, coinciding with her first movie release in 15 years, say Fonda is to delay her participation in the bus tour until next year. However, she is still due to deliver "anti-war" speeches with Galloway in Madison, Wisconsin, and Chicago on September 18-19. A friend in a neighboring town of New Orleans who has been communicating with me by Blackberry offers some compelling insights from what he has seen of the "first responders" on the ground. How authorities have behaved dealing with Hurricane Katrina, in his view, says much about how they would respond to a future attack with a weapon of mass destruction. Let me preface my observations below by saying that most - the overwhelming majority - of the failings regarding Katrina were state and local. Those failings occurred, in some cases, over a period of decades and in others in the days before, during and after the storm. In addition, FEMA [Federal Emergency Management Agency, Department of Homeland Security] seems to be a lightning rod in this disaster and I am sure that there are good, hard-working folks at FEMA. However, these tales from good, smart folks I know and respect tells me that there are severe problems at FEMA that have implications for a WMD scenario. The first story comes from [a local medical doctor]. I first met [him] 22 years ago when he was a bouncer in a bar at LSU. [He] left school back then and joined the Army. He became a Special Forces Medic. He saw action in Panama and Desert Storm but left active duty as an E-7 as Clinton started to dismantle the military. He went back to college, graduated on the Dean's list and was accepted to LSU Medical School, where he was class president. [He] is also active in local politics, having been elected to the Republican Party Central Committee two years ago. [He] is currently an Emergency Room Physician at a hospital in Baton Rouge. He is also still in the Reserves in some capacity. After Katrina hit, [he] took it upon himself to head to the area. A refugee center of sorts was set up at the intersection of I-10 and Causeway Blvd., about 25 miles from my house and maybe 10 miles from Downtown New Orleans. [He] gathered some Louisiana State Troopers, National Guard and Jefferson Parish Sherrif's Deputies and created a Battalion Aid Station at the site. He began triage with one medic with the NG [National Guard] who had been with the 82nd Airborne while on active duty. Over the next 3 days, 7000 victims were taken to this point. [He] and the medic were the only medical personnel there and no transport was sent for the refugees. People were out in the elements for 3 days. The Jefferson Parish Sheriff's office had set up comm[ommunications] in the area and the NG had comm with Blackhawks that were bringing victims in. FEMA came rolling in and what was supposed to be relief quickly turned into trouble. [He] said that FEMA "had no Command and Control." They came in with a few trucks with just a few supplies (the Army was by now already way ahead of FEMA and choppering in stuff). [He] said that they immediately wanted to start running things. Problem was, FEMA could not comm with the Army, the state police, the sherriff, or anyone else. But that did not stop them from ordering the [local] deputies to shut off their comm. The FEMA folks then got in their trucks and left-without telling anyone they were leaving or where they were going. That was the extent of the FEMA involvement as observed by one Green Beret. The next FEMA story was related to me by [a prominent community leader] of Mandeville, Louisiana. Parts of Mandeville were devastated by the storm surge and other parts by wind. Private donated supplies reached Mandeville ahead of FEMA. Mayor Price began distributing water, generators and other supplies to his citizenry at City Hall. The FEMA came in. They saw what was happening and ordered Price to cease what he was doing. He refused and they threatened to confiscate the supplies he was distributing. At that point local police and deputies stepped in on behalf of the mayor and FEMA backed off and left. FEMA was also late on the scene in New Orleans. The Army, Navy, Coast Guard and Marines were all on the scene already. There were 80 Blackhawks, Seahawks, Hueys, Super Stallions and Chinooks already on scene conducting SAR by the time FEMA arrived. But then FEMA tried to take over. They ordered all SAR ops to stand down and started holding briefings of aircrews while people were dying. Luckily, military commanders on scene recognized the folly of this and countermanded FEMA and restarted SAR immediately. This was related by [a local federal lawmaker]. [A retired Marine colonel] is the director of homeland security in New Orleans. He is a marine combat veteran and former commanding officer of the Basic School in Quantico. He called FEMA's response to this situation a national disgrace. Everything I am hearing and seeing with my own eyes down here is that FEMA is unnecessary, ineffective and counterproductive. Am just now hearing from a NG officer that Gov Blanco refused to federalize the NG when it was requested. That certainly could have caused the delays in the military response. Once the military got on scene, they were magnificent. It appears they may have been delayed by Blanco's turf battle. Shameful. On the other hand, the military has all the resources, leadership and capability to handle these crises. FEMA is just in the way. If we get a WMD attack and FEMA is the lead agency, it will be a goat screw. Keep in mind that this was an anticipated event. FEMA had prior notice. In the event of an attack, what would happen? Local and state police along the hurricane-wracked Gulf Coast aren't taking any nonsense from looters. A friend in an isolated area, with his BlackBerry as his only means of communciation, emailed me today with stories of gangs sacking homes and overwhelmed police without the backup they need. My friend is guarding his family home with his rifle. Police officers have been informally enlisting local armed citizens to help them quash the gang problem. According to my friend, "Now we are standing watch at night with my AR-15 and M-14--at the police's request because they are stretched thin. I am told that if we have to shoot anyone to make sure we shoot to kill and then fuggeddaboutit. The cops HATE the looters and I suspect they are hunting them every night." El Salvador offers its troops to aid Katrina recovery . . .
El Salvador has offered to send its soldiers to aid with the Hurricane Katrina recovery efforts in Louisiana, Mississippi and Alabama. President Tony Saca told me yesterday that his country's legislature passed a resolution, which he signed, to offer troops to assist with rescue and recovery. It is unknown whether the US has accepted - or even acknowledged - the offer. The US should consider the offer seriously. El Salvador's small but professional army has extensive experience with hurricane relief and recovery. The country is the only Latin American nation with military forces still serving in Iraq, and recently sent a fresh contingent of soldiers. Salvadoran troops are mostly young mountain men, a tough-as-nails force whose rank-and-file grew up in hardship and deprivation, giving them a remarkable way of withstanding the horrid conditions that would await them in Katrina's wake. They would especially be helpful among the Spanish-speaking inhabitants of the Gulf Coast - and, if so ordered, would deal with looters effectively and efficiently. When all is said and done, remember this: Before offering to lift a finger to help the rescue and recovery efforts after Hurricane Katrina, the German government wagged it at President George W. Bush and blamed him personally for the catastrophe. As New Orleans was flooding, a senior German official, Environment Minister Juergen Trittin, wrote an op-ed in a Frankfurt newspaper blaming President Bush for the destruction from Hurricane Katrina. The reason, he said, was because Bush opposed the Kyoto Treaty - a pact to which the US is not a party but which environmentalists and socialists say would stop global warming. With Trittin unrepentant and defending himself on TV, all Chancellor Bernard Schroeder did was add empty words of condolences. Other Germans ripped them both for their callousness. Claus Christian Malzahn wrote in Der Spiegel, "instead of aid donations and sympathy, the Americans have heard little more than a haughty 'I told you so' from Germany. It's another low point for trans-Atlantic relations -- and set off by a German minister. How pathetic." In an ugly diatribe that personified the worst caricatures of German callousness, Trittin wasted not a word on sympathy for the victims, even as they were still drowning in their attics. Schroeder wrote a letter to Americans containing "nice words," Malzahn said, "but that was it. No pledges of aid money, no announcements of immediate help -- although finally, two days later, the German interior minister did manage to come out with a hesitant offer of assistance." While German help might not be needed, the gesture certainly would be welcomed and accepted. It would have been smart public diplomacy, too, from the self-absorbed ecosocialists in Berlin who have done as much as anyone to damage transatlantic relations. And the fact is, some of the German help certainly is needed. Notes Malzahn, "The same people who normally spend their time pointing their holier-than-thou fingers at the ghettos and slums in the US, the same ones who describe America as an out-of-control capitalist monster, are now, when the Americans could really use a bit of help, oddly quiet." Finally, five days after the hurricane hit, Schroeder spoke at what the German press called "a hastily arranged news conference" where he offered medical evacuation jets, field hospitals, water purification systems, vaccines and portable shelters. Schroeder told the press that it was "our historic duty."